After instaling you get the option top try for 60 day,s the pro, I dit. But the design future is not working! only the free mode stay selecteble so only a few choiceses are there. So testing is imposible that way, and i try it ONLY fore that options. So will I buy it ?I doubt it ,as its not working for me,I cant arange the lay out as I want it. are you sure you choose the 60 day option correctly? I seams to me you have choosen the "Freeware" version, because the few choices of design are clear signs that the Freeware is rtunning. To choose the "Pro" for testing, please go to the Configurations (key F10), there to the Register tab and select the Trial by clicking on the "Test" button. I installed the Free rc1 version, then a popup sayed you can try the pro for 60 days so i sayd yes and the programe came back with YOUR 60 DAY ARE STARTING . (some like that) So it gives the impression that you are in pro mode! Will try your advise and see if its helps.If it does. Then that means the temperory upgrade is not working. It dit f10 and clicked on profesional edition i got to the website. I click register it say you still have 58 days remaining. UPDATE 2 the freeform mode works! So i presume its the pro test mode. Also i miss the tabbar its just nowhere. using 2k amd 1.4 fresh install on a new drive. This menu appears if you right click on a page button and select "Page Design". The tabbar can be openend / closed with the key F2 or with the small vertical button next to the Notesbrowser logo in the top right corner. Win2k will work well, but I think you have installed Notesbrowser 1.7 rc1 and not the very old 1.4 version. You can see which version you are running if you left click on the Notesbrowser logo in the top right corner. Please report back if everything is working! (or if there are still problems). Yes i was not clear i dit install 1.7 rc1 and a fresh install off 1.4 on a other harddrive but turns out to be 1.6 to keep using it,instaled that because i was thinking that you could make your own layout see questions about notes browser. And so far it still does not work for me.What the reason is ,hope to find out. If i press f5 i come to the freeform mode where you can move and resize that page under are the six slide pages. Right clicking on the page button gives only design (not page design) the standard layout is there not the pro. f2 let the titlebar go/come back , the tabbar is the old pages bar got confused by the tap1 tap2 . More ideas to try ? PS. the official release will work with win98 ? to solve this problem, first make sure which version you are running. If you click on the Logo and it is 1.7 rc1, this is good. What do you mean with " the tabbar is the old pages bar got confused by the tap1 tap2"? Thank you for your help to improve Notesbrowser! Last edited by Dirk Schwenke on Thu Oct 05, 2006 9:59 pm, edited 1 time in total. I have made screen shots of the f5 and the right click in colum. As i could not see any picture in your post of 4-10 to compare. Wat i mean was the picture on the website gave me the idea that is was a extension in the top bar ! But it is a good idea to place buttons in the menu! I will add this to our feature list! I hope this make it clear what the difference is. Another big difference that has nothing to do with these choices is that in Notesbrowser Professional you can also use the Freeform mode to arrange the fields completely free. 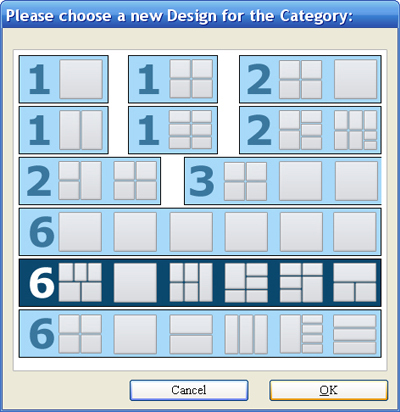 Maybe a bit more explaining helps for the users as the missing layouts are available right clicking on the tabbar. 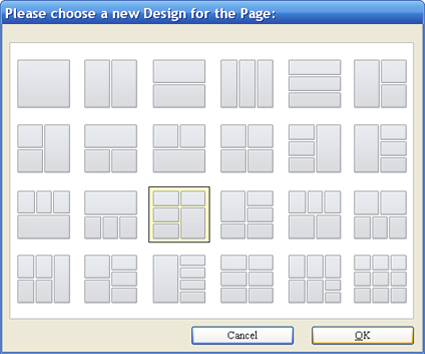 Not in design, indeed right clicking on a tabbar gives the other layout choices. Only thing left is a layout copy. Great service so yep i buy . I will add the Layout copy to our "Feature Wish list". but it is not easy done because it is not clear how the copying (and pasting) can be done easiest.